The State of the Nation address by President Jacob Zuma is scheduled to take place Thursday, 10 February 2017 at 7pm. In preparation, Bush Radio trainees have been collecting the opinions and questions from people all over Cape Town. All the participants were asked; If you had the opportunity to ask the president to address something that affects you, what would it be? We are inviting you to share your views with us on a special “Expectations” edition of Backchat on Bush Radio 89,5FM with Bassie Montewa on Wednesday, 9 February 2017 from 2pm to 4pm. On Tuesday 5 June 2012 at the African Arts Institute offices in Union House, playwright and Executive Director of the Institute, Mike van Graan chaired a panel discussion/forum which considered the implications to artists of the uproar about Brett Murray’s controversial SPEAR painting. It was hosted by Arterial Network. A lively debate, occasionally slightly anarchic, ensued. Nigel Vermaas, who attended the forum, assembled a 17.30 minute version of the two-hour event for his Arts Update in Friday’s Sakhisizwe show (8 June). Inevitably the choices made will not find favour with all, much nuance is, of course, lost, and some of the edits are a bit abrupt – but the gist is there. Bush Radio put together the special outside broadcast to get a sense of what the community was expecting and what they thought of President Jacob Zuma’s state of the nation address. While the OB team was busy in Mitchells Plain the Bushradionews interns were at Parliament collecting sound and pictures of the event as well as generating analysis of the speech. 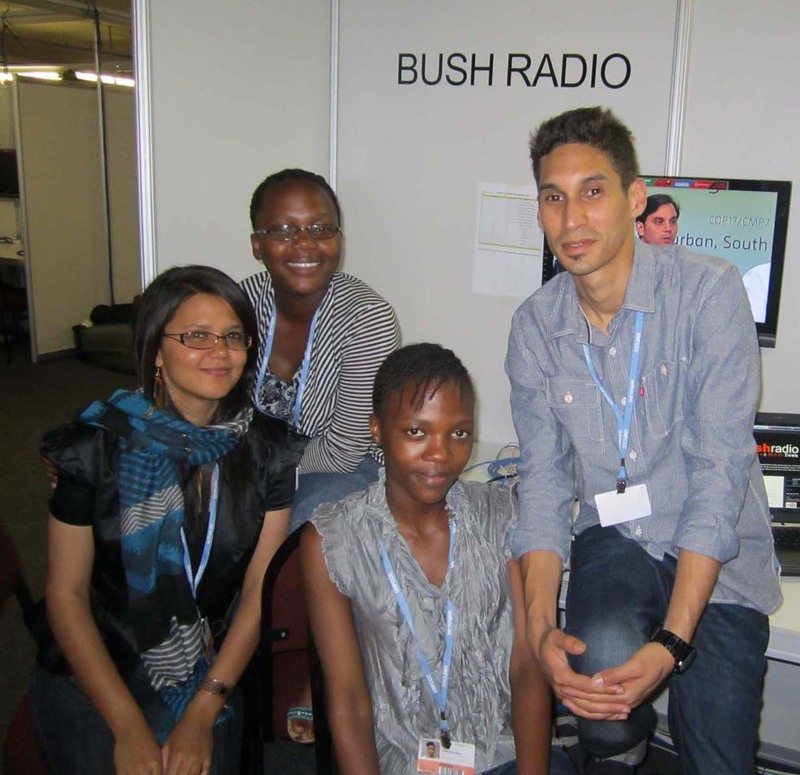 Check out a few of the stories filed by the Bushradionews team based in Durban during the COP17 Conference below. The special coverage was made possible through a partnership between Bush Radio and the Friedrich Ebert Stiftung and involved training and community dialogues. 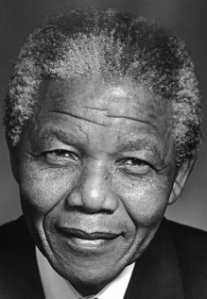 The content produced by the team is being distributed to all radio stations in South Africa as well as via the World Association of Community Radio broadcasters (AMARC) and is being carried by AllAfrica. 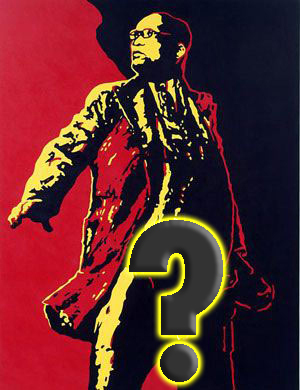 Remember you can follow the team on twitter (@Bushradio) or by check out their posts (Bushradionews). Bush Radio 89.5 FM will be providing coverage of the 17th Conference of the Parties (COP17) to the United Nations Framework Convention on Climate Change (UNFCCC) to various radio stations and other media organisations in South Africa and around the world for the duration of the conference (28 November – 9 December 2011) in Durban. You will be able to access updates, audio, video and pictures via the Bushradionews platform or by following us on Twitter and searching here #COP17. This project is a continuation of a partnership between the station and the Friedrich Ebert Stiftung, which involved a in-depth training course for radio stations throughout South Africa, community dialogues and the creation of a COP17 focused newsteam lead by Bush Radio and drawn from other stations in South Africa. The young Bush Radio newsteam 2009/10 which is composed of 2nd-year journalism students learning their craft live on the station have been covering their first State of the Nation address. Check out the coverage on their blog. They are also hosting a special reaction to the show this Friday, 12 February 2010. They have invited politicians, civil society and of course will be getting your opinions. Tune into 89.5 FM or listen online from 09h00 – 12h00.